In this program, we will learn how to create a quiz game using java swing GUI. In this program, we will use the Action listener method and Swing class. first, we create a frame according to the quiz. we use container pane for holding the components. 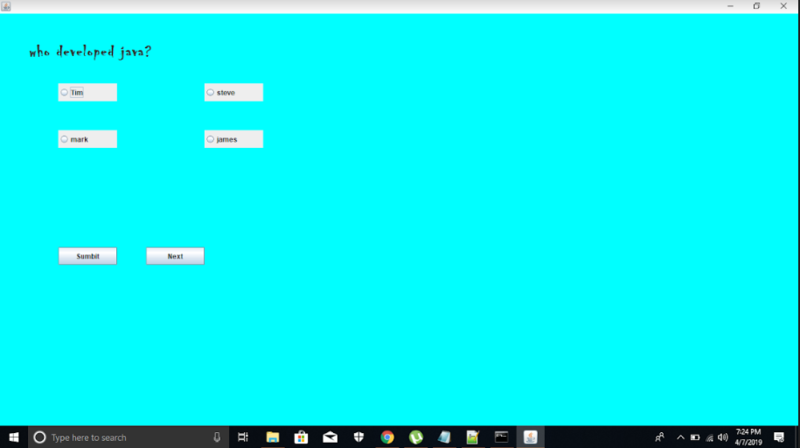 Now, we understand the code in this code we create a button group for holds the radio buttons and perform the action listener method to all button groups. « Create Smiley Emojis using HTML and CSS.